We're filling up the tanks in the middle of the U.S. and soon we're going to be filling up tankers in the ocean. Tanker rates are starting to rise, even though the Baltic Dry Index continues to make new lows. It's still a bull market. Sometimes one has to take a simplistic perspective and look at the charts and ask what direction is it moving in? How would a four year old look at this? A four-year-old would look at the chart and say I'm not sure what it is, but it's moving from the lower left to the upper right. We try to look too deeply into things, sometimes it's better to look at what the major trend is. As we make new highs, the trend is still to the upside in equities. Yes, there are reasons to be nervous about it [stock market rally] and yes there's a likelihood of a correction along the way, but anybody who has tried to sell the stock market has proven to be utterly and completely wrong. Use puts , use positions to defend yourself. Be careful. That's all I can tell you. The volatility of the past week and a half is unlike anything I've seen in my career, and I've been at this 40 years. I think European stocks can outperform U.S. stocks for the next several months. I think people will be surprised by that fact. The idea that magazine covers are contrarian indicators reflects a view that a trend has run its course if general news publications put the story on its cover. Why? Because declining oil prices has been a major story in the markets since the summer. In July, oil prices were around $114. They were recently trading around $50. 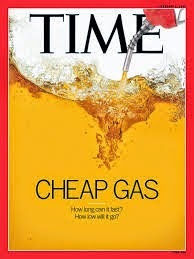 The time for Time’s cover was when oil prices peaked, not when they have been sliced in half. But because so many non-financial people get news from Time, professional investors believe the magazine covers prompts the masses to trade – on the wrong side of the market. In other words Wall Street is always looking ahead, discounting the future, while many non-financial publications tend to confront financial facts after they are obvious to almost everyone. The most famous example of magazine covers as indicators is BusinessWeek’s 1979 cover story, The Death of Equities. The cover story coincided with the birth of one of history’s greatest bull markets. It's amazing the number of years that it's been that 'Wall Streeters' keep saying the rates are going to go up. Write this down. Interest rates will go up when they go up. Until then, they are not going to go up. The ECB’s problems as we have discussed here often is that it hasn’t a pan-European debt security upon which it can lean to effect monetary policy unlike the Fed, or the Bank of Japan, or the Bank of England, or the Bank of Canada, or the Reserve Banks of Australia and New Zealand or the Central Bank of Russia or the People’s Bank of China. 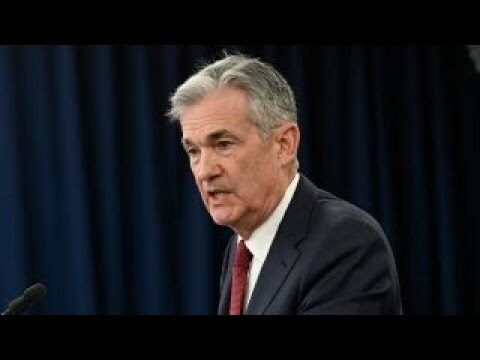 These other banks have securities they can buy and/or sell, allowing the central banks in question to ramp up or diminish the sums of money in circulation at a moment’s notice. The ECB has to choose from a supply of national debt issues, all of which have different ratings, ranging from near junk to the highest possible quality. So therein is Mr. Draghi’s problem. He would indeed like to unleash the hounds of monetary policy, but he’s no real hounds to unleash. Instead, he has a pile of small cats and little puppies, with one or two larger dogs from amongst which to choose. As we have said many, many times before and as we are saying here again this morning, we do not covet Mr. Draghi’s job, nor should anyone else. He has promised to do “Whatever is necessary” to keep the EUR intact and to bring monetary policy to heel, but the harsh fact of the matter is that the monetary and political unions were done badly from the outset and he and Europe are suffering now as a result. Germany can't let Greece go. Germany is an export country. It needs to have a Euro that is basically weak on balance. It knows that if it let Greece go, the euro would skyrocket. Germany needs a weak country such as Greece, and other weak countries such as Spain and Portugal to keep pressure upon the euro, to keep the euro going lower so that their export businesses will continue to thrive. Computer prices have been deflated all along. We get so much more out of our computer for $1,500 than you ever used to get out of it for $1,500. There's more computing capability in my iPhone for $500 than there was that launched the moonshot. And how much did we pay for that? That is a perfect example of perfect, good deflation."